What drinks should avoid a diet to achieve the final result? If you are on a diet for weight loss, you should be careful with drinks taking. Choosing the right drinks improves our metabolism, suppresses appetite and reduces the amount of calories taken. Which drinks should not drink if you are on a diet? First, avoid soft drinks. They constitute a liquid obtained by mixing water, sugar, colourant, flavor, sodium and carbon dioxide. Because of their sweet taste are absorbed quickly, while the body receives hundreds of unnecessary calories. Including less useful substances. Most sodas are fattening. Calculating the calories of soft commitments – they are usually about 44 kcal per 100 ml. The bottle typically contains 250 or 500 ml. Adding 100 calories to the main menu and food are eating incidentally, is not so little. Second are fruit juices. Just like sodas, they contain a lot of calories. Namely about 45 kcal per 100 ml. They are the lesser evil, because there are also nutrients – vitamins, antioxidants, flavonoids. 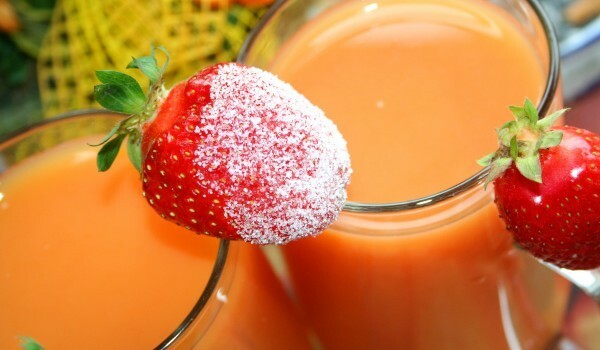 The question is how to reap the benefits of juices without assuming unnecessary sugar. The only way, at least in part to achieve this is by the choice of 100% fruit juices. Look at the label, there must appear added sugar. In fact the most appropriate beverage whose consumption will not adversely affect our weight is vegetable juice. It is rich in nutrients, but unlike the latter is low in sugar and calories. One cup of tomato juice contains 41 calories, as much as about 4 sips orange. Thirdly, there are shakes. Homemade are equally delicious, refreshing, enjoyable and while not as caloric as those in coffee shops. Home at least you can control the amount of added sugar. 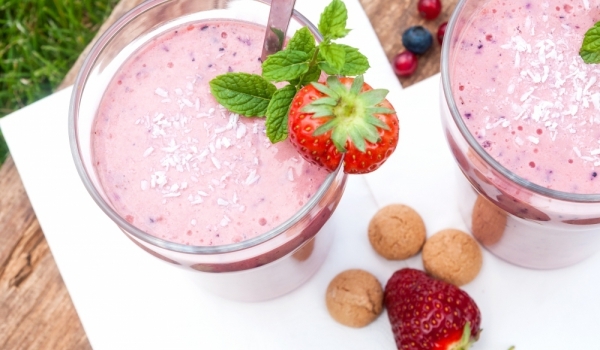 Shake is made easy – the fruit: banana, strawberries, blueberries, raspberries, etc., Pass a, add milk until desired consistency and mix. But all this is not at all low-calorie. Water is the drink that any nutritionist will recommend diets. The only liquid that can satisfy her thirst is water. Sipping on a frequent sips saves us ingesting a bunch of unnecessary calories. Drink a glass of water when you feel hunger. Water contains 0 calories. Even when you do not feel thirst or hunger, it creates conditions in the body for normal functioning of metabolic processes.